Floyd Leon Dugger was born on December 3, 1963 to William and Marie Dugger. 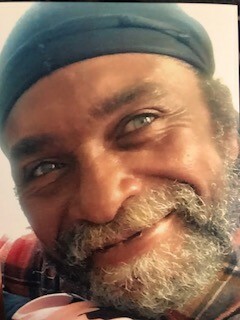 Floyd fought a good fight of faith in battling his complications of being hit by a car on June 30, 2018. In the midst of his battle, he heard the voice of God with an invitation to come home and rest. On Sunday, July 8th at 1:50a.m. in Temple University Hospital, he closed his eyes and answered the call to go home. Floyd was affectionately known as “Green Eyes” by many of his friends and associates. Floyd accepted Christ as a teenager and was baptized at Guiding Light Refuge Baptist Church under the leadership of Pastor Daisy Woods in Washington, District of Columbia in 1975. Floyd was educated in the Washington District of Columbia and Philadelphia public school systems. He had many trades and had a great love for them all. With all the trades and skills he accomplished throughout his life, he applied it to the life of everyone he loved. The love of junk was his joy. In his loving voice, his favorite saying was “THAT’S WHAT I DO”. Floyd never married, but met Betty Allen. From their loving relationship their pride and joy was born, Floyd Allen. Floyd leaves to cherish his memories: his son, Floyd Allen of Philadelphia, PA; his parents, William Dugger of Richmond, VA and Marie Dugger of Philadelphia, PA; one sister, Jennifer Dugger-Villaran of Richmond, VA; one brother, Woody Manley of Washington, DC; his grandson, Shawn Allen; two aunts, Dorothy Manley (Swattie) and Roxanne Strong; cousins, Lisa Coker, Shirley Gorham, William Lawrence Williams, Terrance Lynch, Geraldine Williams, and the late Christopher Lynch; a host of nieces, nephews, cousins, other relatives and friends.